I really liked the fan fiction element. 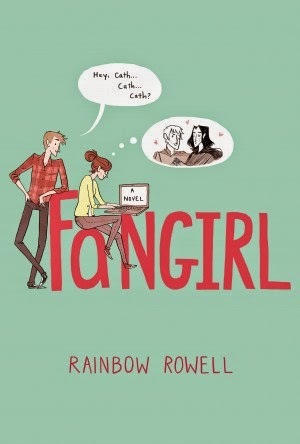 I have to admit I read (and sometimes attempt to write...but just forget I mentioned that because my attempts are pretty bad...) fan fiction myself and I liked how this book showed that it isn't some weird freaky thing and that it can be really important and significant and brilliant. I found it interesting that Cath never reconciled with her mother, and I that was good because doing that wasn't the right thing to do for Cath and it would have felt forced. I think it showed that the end of the book isn't the end of the story because maybe one day Cath would go on to talk to her mum, Maybe. The fact that the book leaves a few things in the air leaves you to imagine what Cath and her family and friends did next, in a good way, not in a oh-my-God-you-can't-just-leave-it-there-I-hate-you way, of course. As Wren said, "It's never over." (excuse me while I go and repeat that to myself while crying about Harry Potter).